Can cancel flights in other cities. Airline “Ukraine International airlines” forced to cancel two flights from Kiev to Zaporozhye. About this informed the press-Secretary MAU Maxim Arslanov. “Planned unit cancellations PS087 and PS088 28 APR, 12 may, 2 June and 16 June. In addition, from may 15 to June 26, will be suspended the execution of these flights on Wednesdays,” said Arslanov. 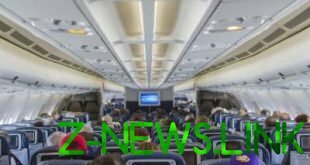 At the same time on the official website of the airline published the information that in April, may and June are assumed to cancel flights from Kiev to Zaporozhye, Kherson, Ivano-Frankivsk, Baku, Minsk, Riga, Geneva, Amman and Ankara. Passengers affected by schedule changes, receive alerts and offers with an alternative date of departure or routes. The reason for the adjustment of the schedule was the delay of deliveries of Boeing 737 MAX. “They had to start work at the regular UIA flights from mid-April this year. However, due to the fact that the operation of this type of aircraft is suspended until the investigation is completed, the delivery of three Boeing 737 MAX for UIA is postponed”, – is spoken in the message of the carrier. Due to the lack of planned for this period aircraft airline cancels flights between Kyiv and Vinnytsia, and also reduces the number of flights in the following areas: Athens, Istanbul, and Yerevan.